Across the globe, mainstream political parties are facing renewed opposition in the form of populist sentiment from both sides of the aisle. In Spain, an electoral alliance led by the far-left anti-austerity party Podemos formed in 2014 won over 24.5% of the vote during the 2016 elections; 2.5% more than the Partido Socialista Obrero Español (PSOE), the mainstream socialist party and oldest political party in Spain. The United Kingdom voted to leave the European Union, shocking the European establishment and bolstering Euroskeptics in nations still under EU governance. In the United States, populism manifested itself in the form of the growing popular support for Bernie Sanders in the Democratic primary and the controversial candidacy of Donald Trump in the Republican primary. Despite Mr. Sanders’s loss to Mrs. Clinton, his shadow continues to loom over the DNC, pushing Mrs. Clinton further to the left and propelling some of his former supporters to align with Jill Stein of the Green Party. Mr. Trump’s victory over evangelical favorite Ted Cruz and establishment pick John Kasich has enraged and confused his Republican challengers and Democratic opponents alike. This is especially so when Mr. Trump’s victory was gained despite his tendency to commit personal blunders and attempts by mainstream media to portray him as a bigot, an opportunist, or both. This sudden rejection of party norms in nations across Europe and the United States have led many supporters of the establishment to ask just what had happened. More importantly, how and why did it happen? The ‘how’ is not particularly difficult to figure out. In a democratic system, obtaining a majority of votes is necessary to win. In the United States, Mr. Sanders carried 43.1% of the popular vote in the Democratic primary and Mr. Trump carried 44.9% of the popular vote in the Republican primary. Brexit succeeded with 51.9% of the vote, even counting traditional Labour strongholds such as Birmingham and Sheffield among the list of electoral contributions to its success. So that just leaves us wondering why it happened. We may find an answer in the rhetoric used by those seeking to defeat the populist uprising. Despite the differences among nations and the people that inhabit them, polls attempting to discern the demographics of populists find similarities. A large proportion of them are white, from the working class, not college educated, and feel voiceless. As a result of these statistics, the mainstream media and even politicians themselves go on to insult these individuals either because those statistics or extrapolations made based on them. In the United Kingdom, the establishment and mass media have painted those who supported Brexit similar to how Trump supporting Middle Americans have been characterized in the United States, as poor drug-addled whites that might as well have jumped out of the 1996 film Trainspotting at best or at worst, abrasive Neo-Nazis who were suddenly given the go-ahead to commit hate crimes on the streets of London. 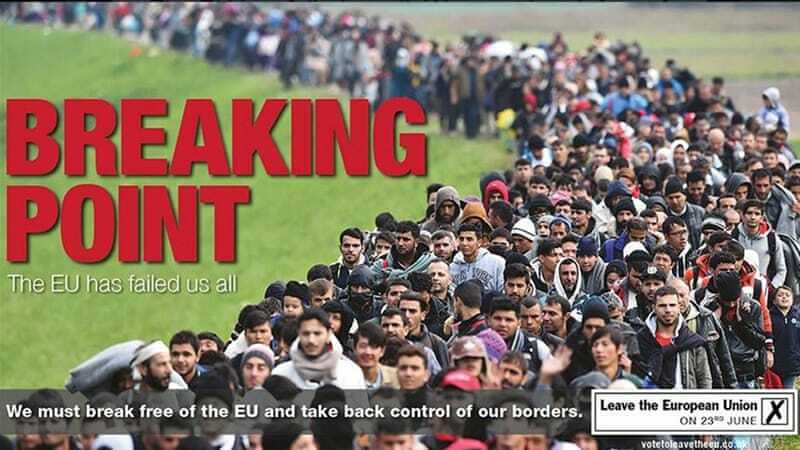 At a party conference in Liverpool, Labour MP Diane Abbott claimed “the people that complain about the freedom of movement will not be satisfied because what they really want is to see less foreign-looking people on their streets.” Specifically pointing to instruments used by the Leave campaign such as the “Breaking Point” poster, some former Remainers have grown more inclined to blame Brexit on working class white people who were easily susceptible to xenophobic demagoguery. If you are not a supporter of Trump or Brexit or populism in general, this should be a shot across the bow. The current rhetoric of the elite is just that, elitist. Unsurprisingly, disparaging people does nothing to help your cause. In 2012, GOP presidential hopeful Mitt Romney stated that 47% of Americans did pay income taxes and as a result would vote for President Obama with no hesitation. That comment helped sink Romney’s campaign in the last few months leading up to the election. If you are a supporter of a mainstream candidate or position and want to win over populist supporters, stop calling them deplorables or Trumpkins or racists or Little Englanders or basement dwellers; appeal to them and give them a voice, that’s the point of representative democracy. Do not let frustration manifest itself into hatred. If you believe that Trump is a con man who is just using Middle America as a vehicle to jumpstart his political career, show them that and convince them of that, do not just insult them for falling for his tricks. The vast majority of Trump supporters are people not voting for him out of racism or celebrity worship. Populist supporters are people who are hurting and plan to use their ballots as a way to fix the system they believe has put them in dire straits. Regardless of whether you agree with that sentiment, it is much more productive to talk to them as equals who deserve to be heard. Populists are offering them their voice. If you want to win, offer yours. In short, show these people that you care about them, not just their vote.